Advanced Solar Panels adds 8 (already more) cool solar panels and molecular converter! In the latest versions, new recipes and auxiliary mechanisms have been updated and added. Added Void mechanism. 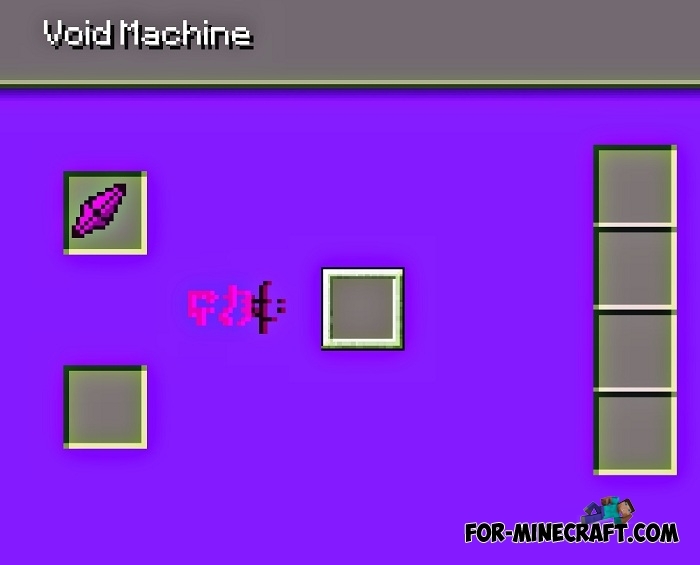 It is needed to create an improved Void crystal (later for other crafts). Added MTM energy storage, holds 9,000,000,000 EU of energy. Added Void Crystal and its improved model. Added Ulthbrcore recipe (the last core). Added recipes for the new items and blocks. Fixed the amount of energy produced by the panels. 1) Nano-helmet with an improved solar panel. 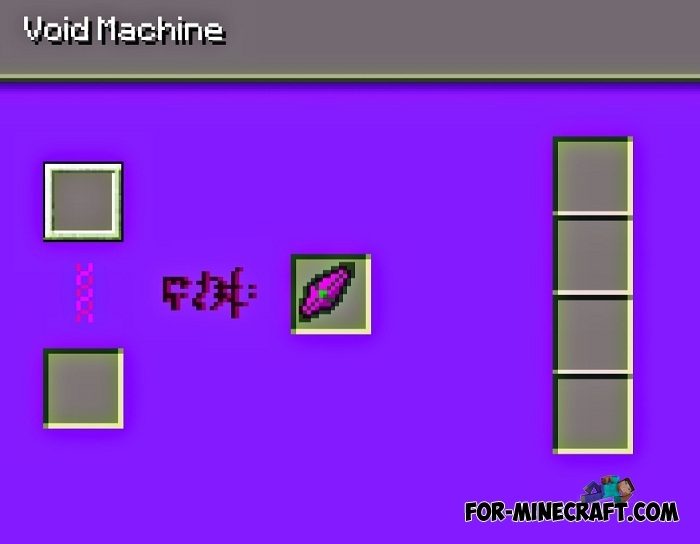 It can be used for crafting of quantum helmets. 2) Quantum helmets with hybrid solar panels. These helmets first charge the armor from the boots, and only at the end they charge themselves. 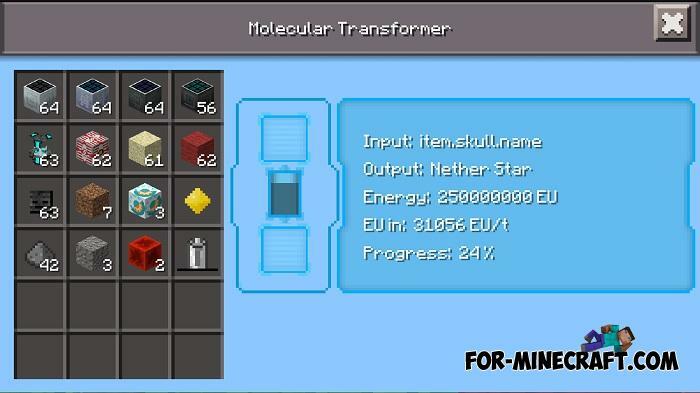 Fixed crafting recipe of molecular transducer. 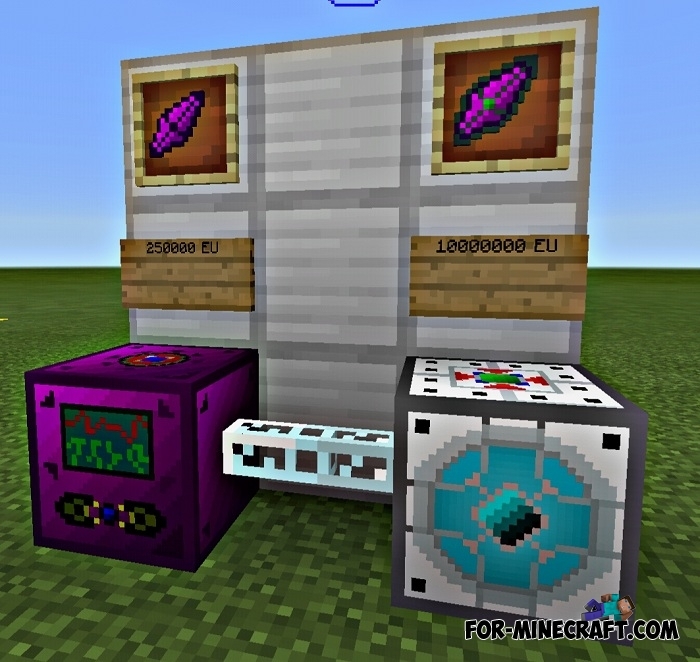 The addon is ported for the IndustrialCraft PE mod v1.09.3. Improved program code, changed the algorithm of the panels: now they work only when the sky above them is not closed by blocks (except transparent ones). Added the remaining recipes of the molecular transformer. Ability to change any parameter of panels. Ability to include complex recipes and a simple recipe for an improved solar panel. - Perfect Hybrid Solar Panel. Nether stone -> Gunpowder (2 pcs). - All recipes from the PC version were added to the molecular converter. 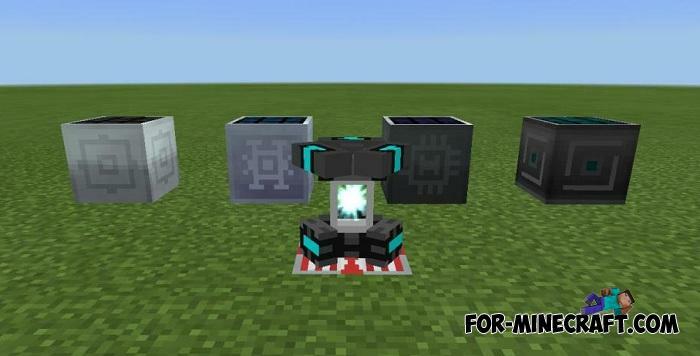 - Now you can charge your electric tools and armor set in solar panels. - Hybrid and other panels can charge absolutely all power tools and armor. Improved panel can be used for a particular armor! Fixed a typo which caused conflicts occurred pages. 0) Install Factorization 5.2 (click). 2) Install the texture (Advanced Solar Panels.zip) from the archive. 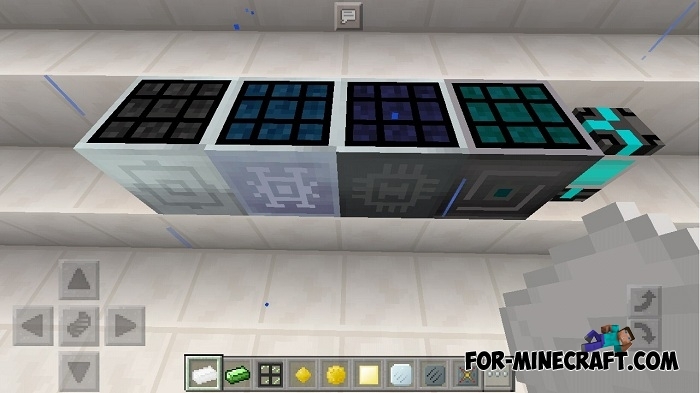 3) Copy Advanced Solar Panels folder here: games / com.mojang / Factorization addons /. 0) Install Minecraft 0.15.10/0.15.9 and BlockLauncher 1.13.3 (download). 2) Download and extract the archive using the link below. 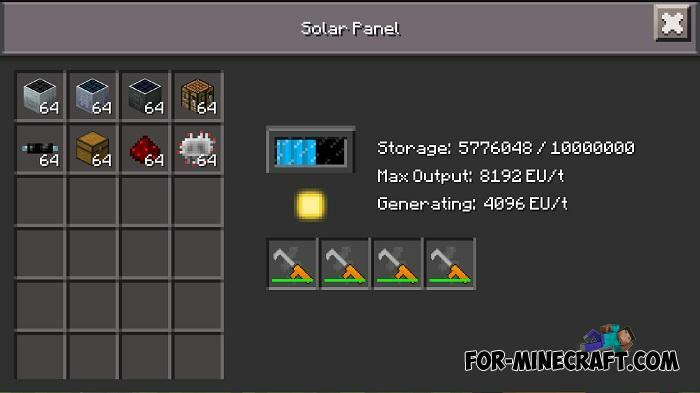 3) Copy the "Advanced Solar Panels" folder here: games / com.mojang / mods /.